Apivita Products: the propoline shampoo and hair mask is THE best I have ever used, beats Liz Earle by far. The hand cream , cleanser and serum are also delightful to use, I love them so much it's nearly all gone. Apivita is a natural Greek brand and I'm so glad I discovered them, I first heard about them on Tali's blog and now can't stop recommending them to friends and family. 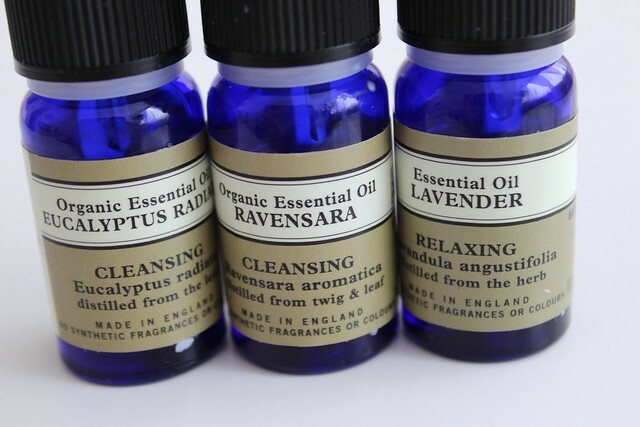 Neal's Yard Essential Oils: I use these mainly with a candle burner to help Esra breathe easier, poor baby nearly always has a congested nose and eucalyptus, ravensara and lavender really helps. 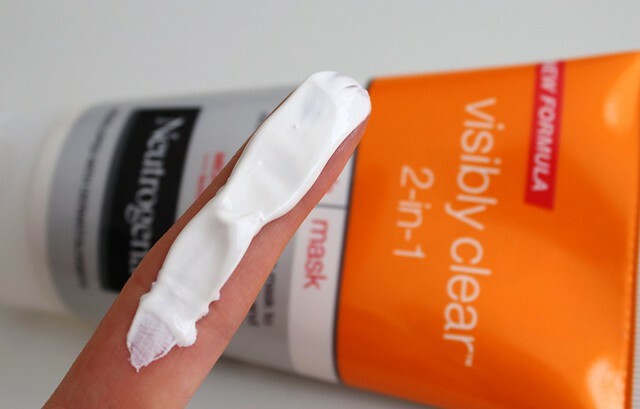 Neutrogena Visibly Clear 2-1 Wash & Mask: Picked this up a couple of days ago, and realise how much I missed it. I love using it as a mask when I'm having a bad skin day, which is today surprise surprise. Making My Own Baby Food: Esra is now 6 and a half months, wow how time flies. 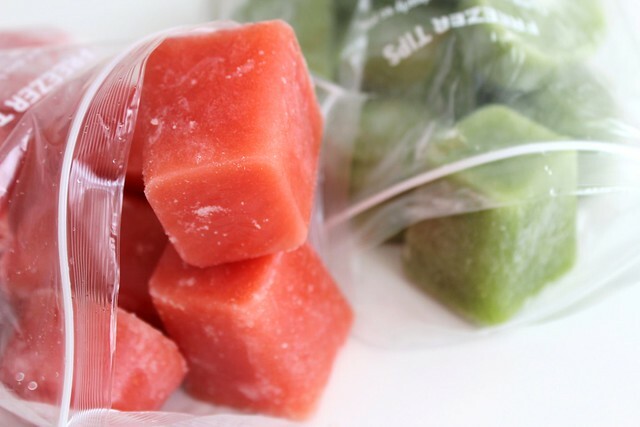 I'm using Annabel Karmel's food cube tray and some pots from Boots to freeze pureed fruits and veggies. Yesterday I made her strawberry, pear and mango puree and a mixture of spinach and carrot. Yum yum yum! 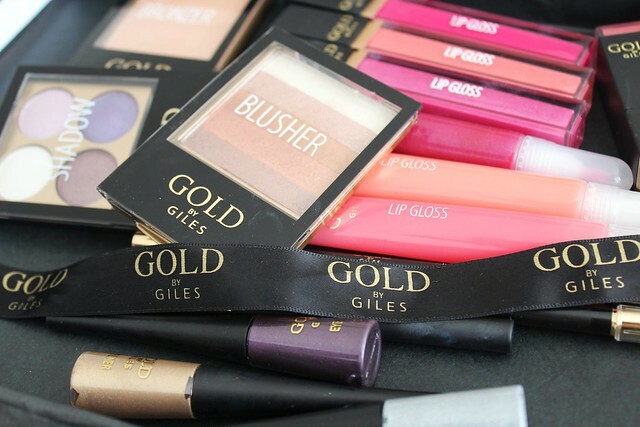 Gold By Giles for New Look: This range is a total fail, 99% of the products aren't pigmented and rub off very easily. The packaging looks "OK" from a distance but when picked up is very lightweight and flimsy. I feel like they spent too much money on marketing for the products and not enough time on the actual products. This range would be suitable for early teens who are just starting out in make up which is probably the target market, but in my opinion 13 year olds shouldn't be wearing this much make up anyway. Bottom line, I really don't like this collaboration, and am disappointed that 'Giles' has given his name to such a bad collection. 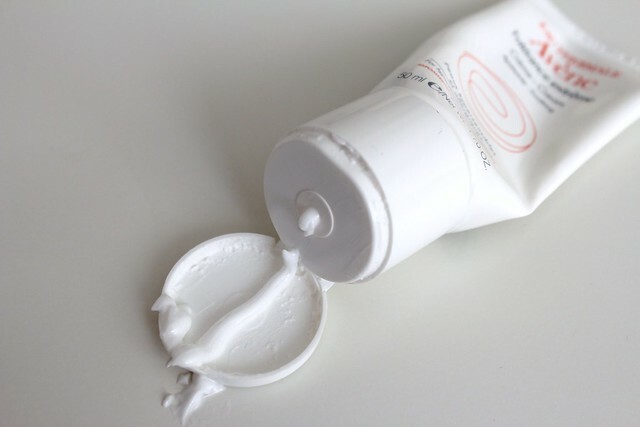 The new packaging from Avene for Tolerance Extreme Soothing Cream: I am a HUGE huge fan of most Avene products, however this tube has some new kind of air tight packaging, yes it's more hygienic but when I go to dispense some of the cream too much comes out and goes flying everywhere. It also results in me applying too much to my face as I don't want to waste the product and then I get clogged pores... Ahhh a big fat fail. What are you loving and hating right now? Disclaimer: The Apivita, New Look and Avene products were sent for consideration for review, I wasn't paid to blog about them and this is obviously my honest opinion as always! I love you blog and I have to say I agree with what you say about gold by Giles on the one side I think some of it is a waste of money on the other its okay for people starting out like you said but I wouldn't go made and buy it in my opinion. Ohh the Apivita products sound really nice! Do you know if the shampoo has SLS in it? 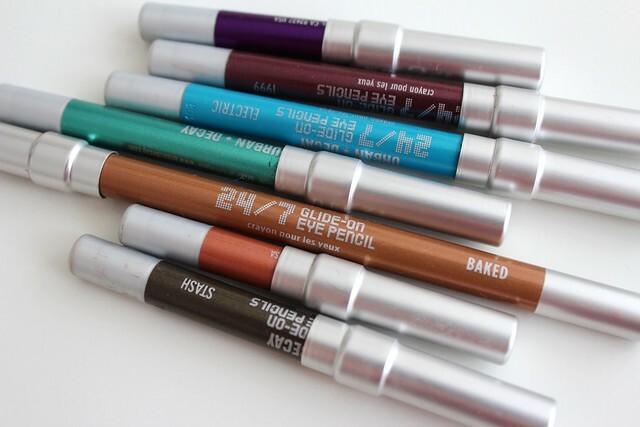 I also love Urban Decay 24/7 liners - I really want to try out their newest black shade Perversion - apparently its REALLY black! @Emma - it surprisingly does have sodium laureth sulphate in it, which is weird for a natural brand but you wouldn't have known, it's not drying AT ALL, it makes my hair feel baby soft and I must get the perversion pencil! Loving Sunday Riley skincare and hating Perricone No Foundation Foundation. It has zero coverage and feels sticky. Though I love the Perricone skincare line, I wish they would improve on the foundation. Thank you for sharing! I love your blog! 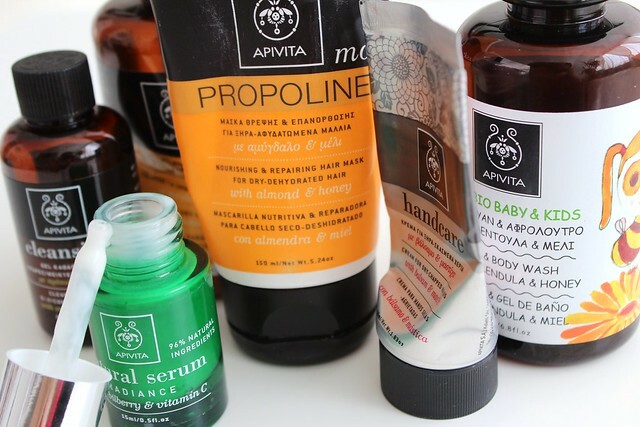 thanks for sharing, i will check out if its possible to get apivita products also in germany. thanks for sharing, I would like to try Apivita! I have missed the Apivita talk, I'll have to check them out. I've been trying to get my hands on neal's year here in the US. I think I'll have to make a trek or a swap to make that happen. First, I want to tell that I like so much your blog, is fantastic! I'll learn more with you. I don't know Apivita, but I have many good references about it. I will really appreciate if you recommend some drug store skin care products. My skin has become really sensitive recently and it's breaking out like crazy! I have also used yogurt to stop the blemishes but no use :( I am just becoming so annoyed! the skin is red and all. i'm a french Blogger and i'm wondering if i could mention your blog on an article ?! Because i really like it ?! Those food cube trays look so yum! Amazing blog! You and your daughter are gorgeous. I just started reading a bit of your blog a few days ago and I enjoy it so much. I just started making my babies food not totally from scratch(I wish). I don't buy fresh fruits and veggies because I don't go shopping often BUT since I'm going to freeze the food, might as well. My son is 13 months and he should be on total solid food but he sometimes chokes on foods and I didn't make my own baby food before because the first time I attempted to wasn't the best and I didn't have the right equipment for the job but you made it look a bit easy so now he's off jarred food, hah. Anyway, it really makes me wish I NEVER bought food in a jar because the caps have BPA, I believe and I just feel bad for using those jars. Those food combinations sound delicious for baby, by the way. Also, what kind of cereal will you be feeding her for breakfast?